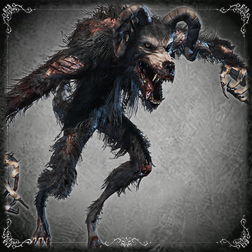 A unique enemy found-only at the bottom of the Healing Church Workshop and in certain Chalice Dungeons, the Beast-possessed Soul attacks with swift, far-reaching claw combos and with fire magic, despite its weakness to fire. The one encountered in the Workshop basement will be asleep with its back to you, and will only wake up if you run too close to it or land on any of the breakable rubble as you drop down from the rafters. You can interrupt its physical attacks, but not its fire techniques, and it can be staggered, allowing you to hit it from behind with a charged R2 strike while it's asleep and begin the battle with a visceral attack or another charged R2.The Beast-possessed Soul is weak against serrated weapons, so using Fire Paper on a Saw Cleaver or Saw Spear will inflict heavy damage. Throwing Knives are also reasonably effective if you need a ranged option. 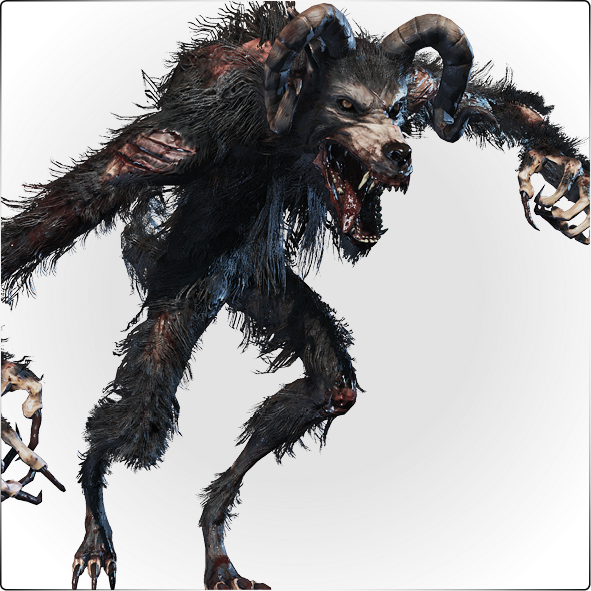 You'll face this beast in an enclosed room with no other enemies present, so you won't have to worry about being ambushed during the battle; however, pay close attention to your surroundings to avoid being backed into a corner. When first entering the Healing Church Workshop basement, be careful not to land on any breakable objects as you drop down - this will wake the Beast-possessed Soul and cost you an opportunity to attack it from behind. Walk slowly toward it and hit it from behind with a charged R2 swing; if you follow up with a visceral attack, you can quickstep toward it after that for an extra hit or two. This foe will chase Pungent Blood Cocktails, which you can use to set it up for further visceral attacks; it is incapable of striking directly behind it, so try to stay in this position as much as possible and attack with R1 combos or charged R2s if you have no blood cocktails on hand. Alternately, you can stand facing it at a safe distance and bait it into taking a swing at you, then interrupt it; however, you must be prepared to shoot it out of its fireball attacks and evade its grab Molotovs are very useful for damaging it from a distance, though be careful not to throw one while the beast is charging a fireball unless you have enough time to evade it afterward Poison Knives are effective, especially against the boss version of this enemy, and the pillars in the boss room can be used for cover between throws. During Beast-possessed Soul grab attack animation, damage can NOT be reduced by repeatedly pressing buttons (mashing). In Chalice Dungeons the boss Beast-possessed Soul can be healed with Choir Bell (host & cooperator using it) during the boss fight. 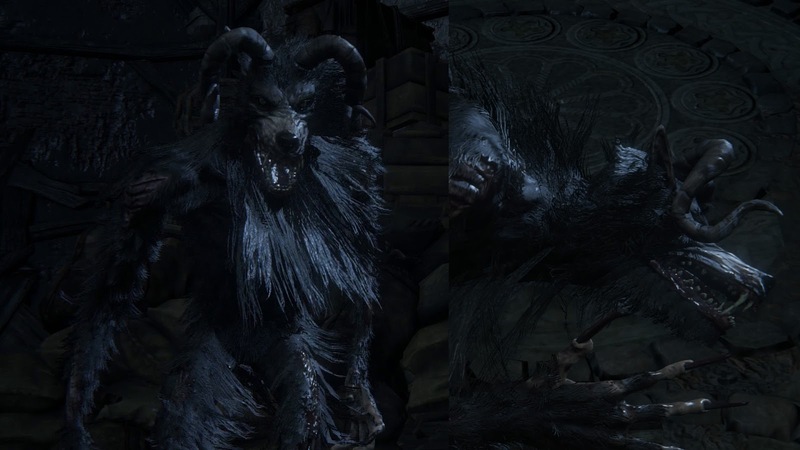 This random effect sparked boss fights in Root Chalice Dungeons where you lure Beast-possessed Soul against other mighty foes such as Abhorrent Beast, Amygdala or Blood-starved Beast. 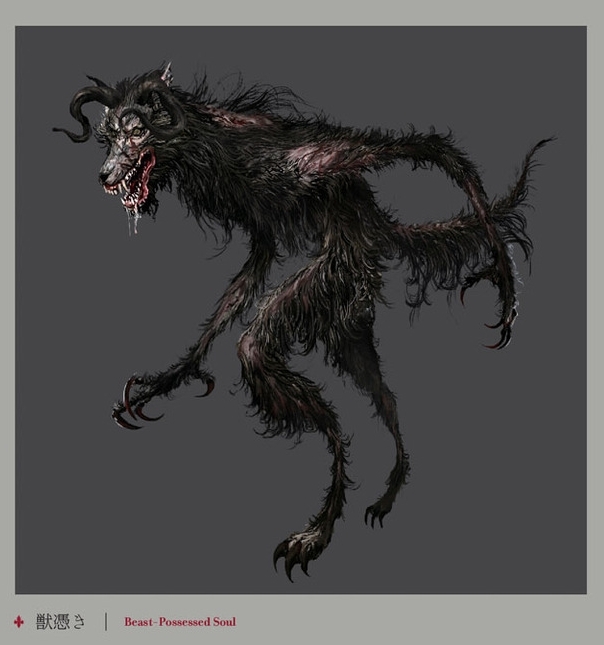 More details and examples of Beast-possessed Soul as Special Character. Having a summoned ally doesn't alter the health or difficulty of the enemies you'll fight, but it does affect the bosses. To ensure they are still a challenge, boss health is increased to 1.5x when a second co-op player enters your world, and to 2.0x when a third enters. Single Fireball No Short delay and some tracking; quickstep sideways or shoot him out of it. Double Fireball No Short delay and some tracking; quickstep sideways twice in opposite directions or shoot him out of it. Burning Leap Yes Leaps forward two meters and creates a circular wave of fire with a very short radius; quickstep sideways. Flame Whip No Frontal mid-range 90-degree arc; quickstep sideways. Claw Combo Yes Up to six slashes with heavy stun, ending with slow headbutt; quickstep sideways and stay behind him. Gnawing Grab Yes Slow windup but long reach; boosts his attack power if it connects. Strafe or quickstep away.